Additional Features and Amenities Great location in lower 1/3 of subdivision. 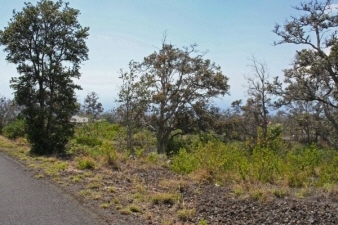 Large ohia trees and ocean views from various locations on properties. 2 of the lots are either approximately 103 X 420' long. 3 of the lots are approximately 140 X 311'. This is a wide inside lot for this MLS listing. Signs on properties. Wonderful opportunity to build multiple homes for contractor developer or for individual residential homeowner to obtain privacy.